PT Pertamina Patra Niaga - PPN or referred to as "Pertamina Patra Niaga" is a reputable oil and gas company in Indonesia with core business in downstream sector. Pertamina Patra Niaga concentrates its business activities in the field of trading, fuel management, bunkering, storage depot, transportation/fleet management, LPG Cylinders, EPC and Operation Maintenance. The Company is a directly-owned subsidiary company of, state-owned energy giant, PT Pertamina (Persero). At present, PT Pertamina (Persero) holds 99.9% shares in Pertamina Patra Niaga. 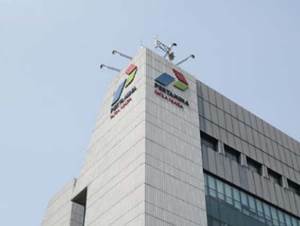 Other 0.1% shares in Pertamina Patra Niaga was owned by PT Pertamina Trans Kontinental. Pertamina Patra Niaga was first established in 2007 as PT Elnusa Harapan. In 2004, PT Elnusa Harapan renamed into PT Patra Niaga. The name of PT Pertamina Patra Niaga was launched in 2012. Pertamina Patra Niaga is based in Jakarta and now has 20 marketing representative offices, and 21 operational representative offices spread in 4 regional offices spread across Indonesia. Its head office is registered at Gedung Wisma Tugu II Lt 2 - Jl HR Rasuna Said Kav C7-9 Setiabudi, Kuningan, Jakarta Selatan. Pertamina Patra Niaga 7 subsidiary/affiliate companies, namely PT Patra Trading (99.82% owned by Pertamina Patra Niaga), PT Patra Badak Arun Solusi (96.01%), Patra Logistic (90%), Indo Thai Trading (51%), Patra SK (35%), Pertamina Dana Ventura (0.07%) and Patra Jasa (0.02%). Pertamina Patra Niaga's performance in 2014 improved over the previous year. According to PT Pertamina Patra Niaga Annual Report 2014 as cited by JobsCDC.com, the Company managed to record total revenue of USD 1,769.39 million in 2014, an increase of 4.47% from the previous year of USD 1,693.68 million. The Company successfully recorded a total profit of USD 37.02 million in 2014. This reflected an 91.31% increase from USD 19.35 million in 2013. Minimum S1 in Civil Engineering, Electrical/Electronic Engineering, Industrial Engineering, Petroleum/Oil/Gas Engineering, Marketing, PR or equivalent. Minimum 2 years of experience in the related field, preferably as a Supervisor/Coordinators specializing in Sales - Retail/General or equivalent. Have a good skills in sales and market research. Communicative, love challenges and loyal. Have high integrity and hard worker. Good knowledge of computer software program, Microsoft Office. Willing to be placed throughout the working area of Pertamina Patra Niaga. Age around 24-35 years old. Minimum S1 in Mechanical Engineering, Petroleum Engineering, Electro Engineering, Shipping Engineering, Management or equivalent. Minimum 2 years of experience in the field of oil and gas, logistic management and other related field. Strong leadership skill and have high integrity. Strong communication and problems solving skills. Have attended training in HSSE, Basic Fire Fighter is a pluss. Execellent command in English, oral and written. JobsCDC.com now available on android device. Download now on Google Play here. Please be aware of recruitment fraud. The entire stage of this selection process is free of charge. PT Pertamina Patra Niaga - Sales Representative, Site Supervisor Pertamina Group April 2016 will never ask for fees or upfront payments for any purposes during the recruitment process such as transportation and accommodation.